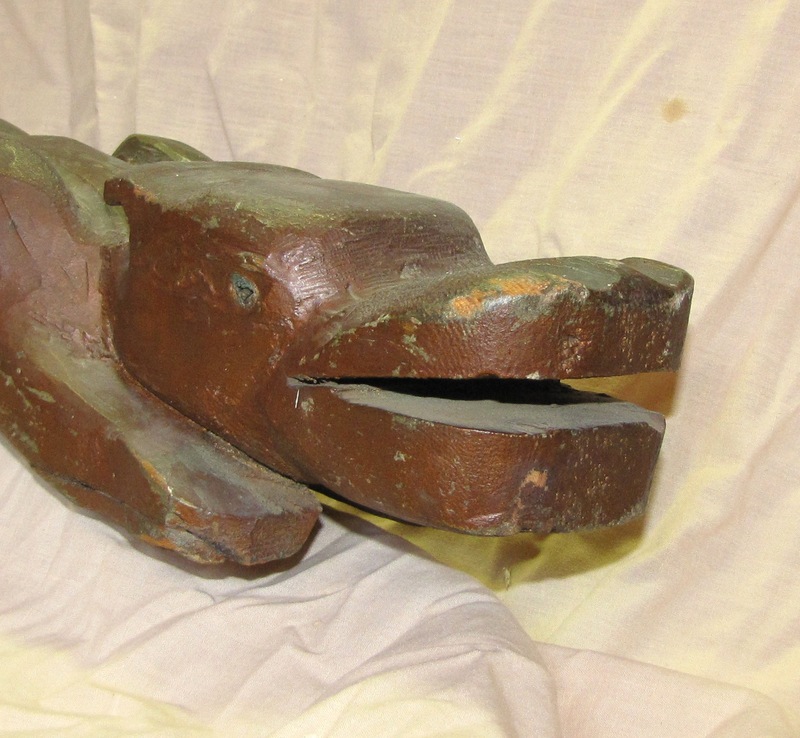 A carving of a wolf figure done by a native Canadian on the Saugeen Territory near Owen Sound, Ontario. The wood appears to be cedar and I estimate the age to be circa 1930's. Overall length is 18".